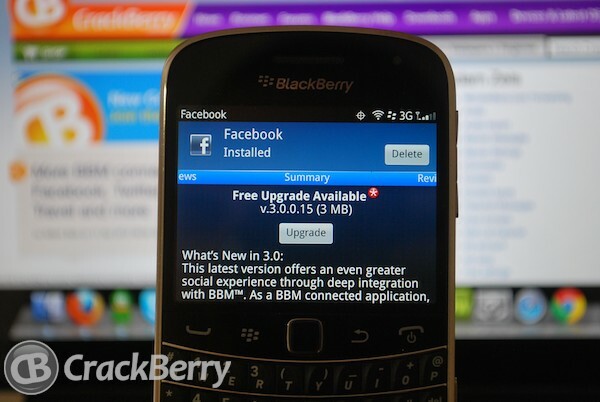 Right on cue Facebook for BlackBerry v3.0.0.15 is now available for download. This update comes along with a few other BBM connected apps that will be rolling out in the next few days. This version brings some various tweaks and fixes as well as BBM connectivity, but aside from that no fancy new features. You should see the new version available in BlackBerry App World.